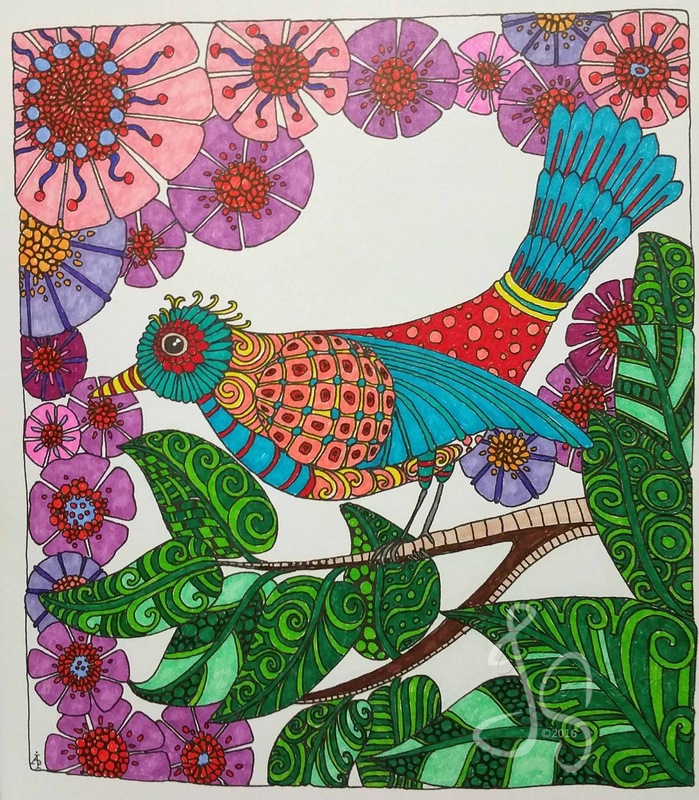 It was early 2015 when I discovered this new trend in the crafting world: coloring books for adults. I'd like to say it's one of the highlights of 2015. 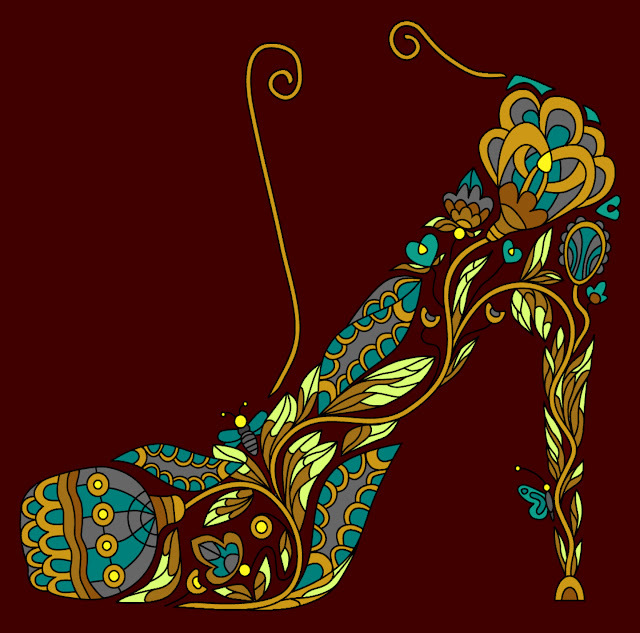 I'm not sure who started it, but I think when Johanna Basford released "Secret Garden", it exploded into something big. I remember it was hard to get a hold of this book. I was lucky at the time to get a hold of the Secret Garden postcard edition at Joann's. I colored the first page last year with Copics, and I really liked it. So just like any other, I started collecting these adult coloring books. I found lots of themes everywhere - from mystical, gothic, florals, animals, ocean, oriental, steam punk, Christmas, even movie-themed like Starwars. It came to a point in which they were everywhere - including Walmart. They have also released "magazine" type coloring books. Yeah, the ones that come out every month or so - the ones you can pay for a subscription to. I didn't go that far though. When I realized they were everywhere, I raised my standards. I wanted to make sure the quality is good, the designs are one of a kind, and the thickness of each page is vital. If the page is thin, and there are designs on both sides, I don't buy them. To me, they are just like regular kids' coloring books. I thought it was cool that some stamping companies jumped in the band wagon and released a coloring book edition of their stamp images. One perfect example is Unity Stamps. They already have 3 editions of their coloring books. I have one of them, and I think it's really awesome. The size is big and the quality is really good. Ann Griffin released her own version too, only available at HSN. I did get one of them also, and I thought the quality is really nice. After "Secret Garden", my next coloring books were from Sam's Club. One of them was Dazzling Patterns by Barron's, which I really love! Both sides of each page have a design, so it's a bummer if you like them both because you have to pick one to color, especially if you're using markers which bleed through. I used Chromatix Alcohol Markers by American Crafts (I got them for a good price at TJ Maxx). The other book is the Posh Coloring Book by Andrews McMeel Publishing. Each page has design on both sides too. For this one, I used Prismacolor pencils with the aid of Gamsol. Design Originals released a bunch of coloring books as well. I got the Creative Coloring Animals. I thought the pages on this book is not as thick as the others, but I still bought it because there is only one design per page. 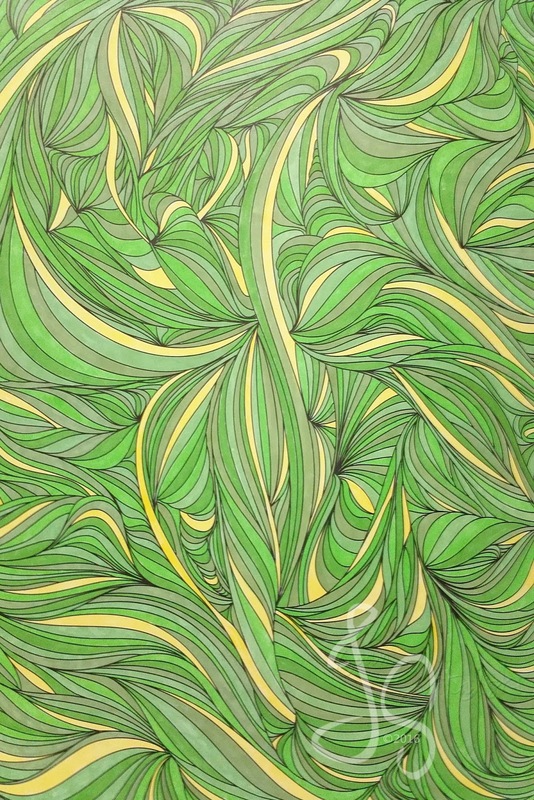 The image below is colored with Chromatix Alcohol Markers as well. The Color Me Happy book by Lacy Mucklow is a good one too. There is also one design per page, so you won't have to worry about ink bleeding through. 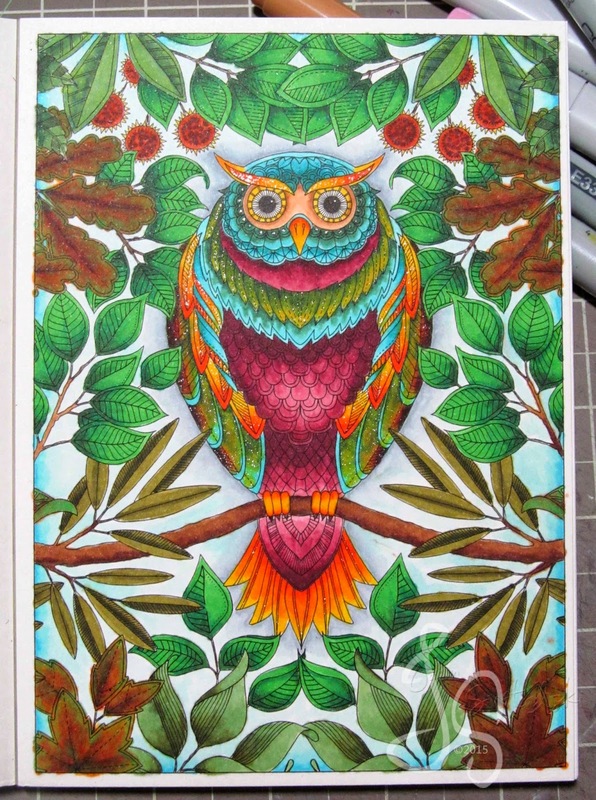 This page below is colored with Sharpie markers. 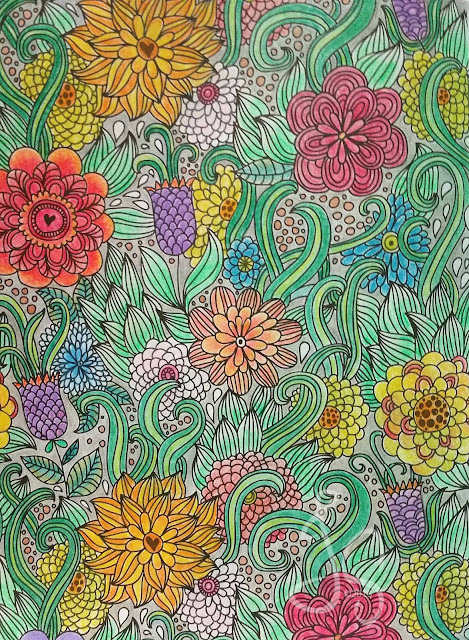 I thought the colors are more brilliant when you color with markers. That's why for these coloring books, I try to avoid using my Copics as much as possible. I've been on the lookout for cheap marker sets, and those I use for coloring. I still have yet to try actual water color, pastels, gel pens and other mediums. I'm actually considering buying a good box of crayons too. But for now, I'm fine with cheap pencils and markers. But it didn't stop there. Somebody was brilliant and came up with a coloring app. And of course a lot followed suit. I only use two of them. 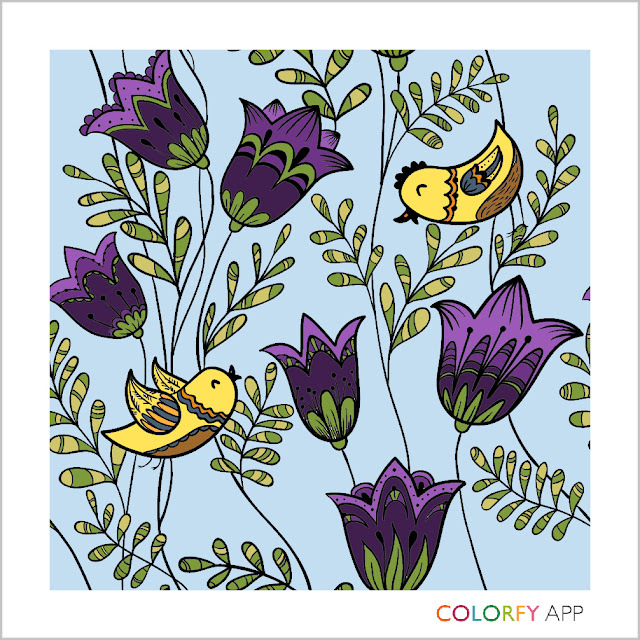 The first one I tried was Momi Coloring, which is a free app. I liked the interface, and it was easy to use. My favorite part is that all images are free. 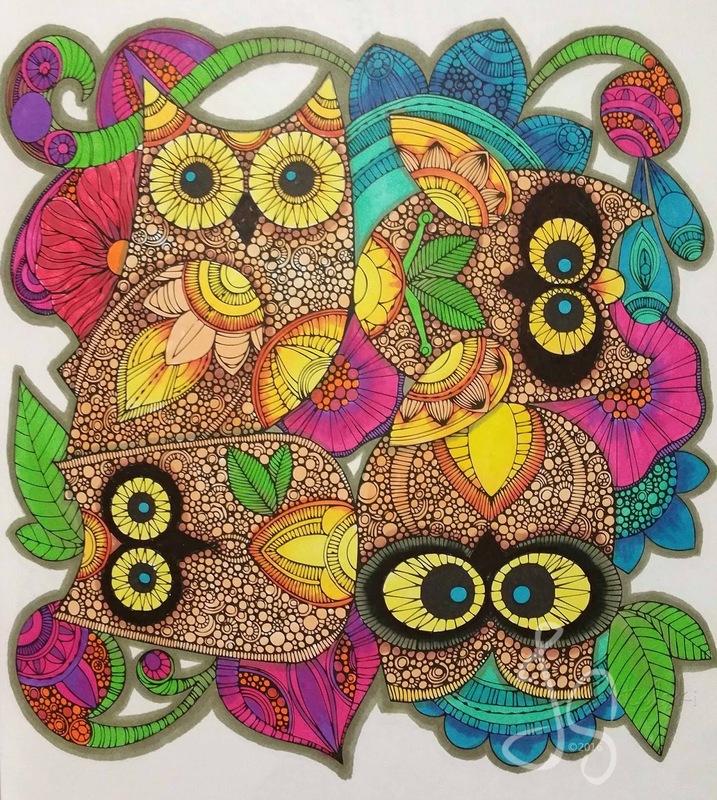 There are so many designs available - you won't have enough time to color them all. Colorfy is another app I like. You can also get this for free. But what you can color is limited, and to widen your color pallet, you have to pay. I have bought a pallet, but to me it's really not worth it especially if you don't use the app often enough. I stopped at these two apps. I don't see any point of downloading any more coloring apps. I'm sure there's a lot out there, maybe even better ones. But I'm good with Momi Coloring and Colorfy. Plus I think these two apps are trustworthy and I don't have to worry about security issues. And just like I promised for 2016, I haven't bought another coloring book. I think I have enough to last me a long time.